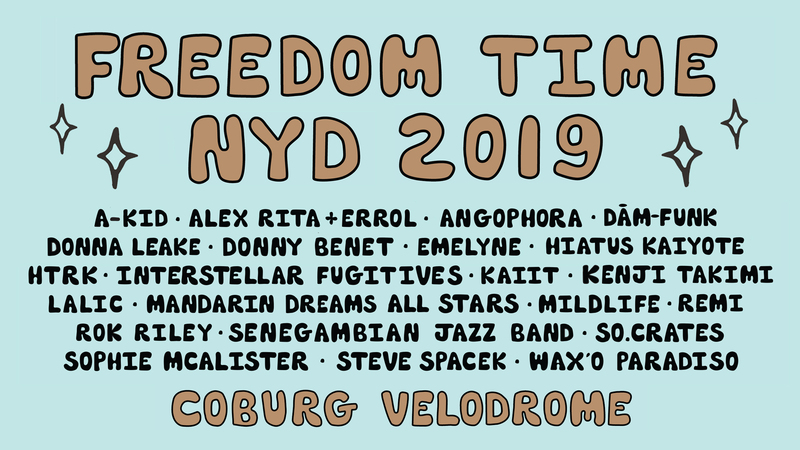 Freedom Time NYD is back for another corker in 2019! This time, they've co-curated with Wax’o Paradiso, Skylab Radio and Freedom Time Live Stage. Shining light on the magnitude of local live talent and bringing to Melbourne some of their favourite underground party starters, they've crafted this roll-call to proudly sing out about the many corners of the scene and the sonic explorations that have made it so. Second release tickets are on sale now, with early bird and first release already selling out. Head to the Freedom Time website HERE for more information and tickets now. Freedom Time is a wheelchair accessible event.